The Seward County Community College Men’s Tennis team earned another two national titles during the ITA National Champion, sweeping doubles and singles play. Sophomore, Nicolas Rousset made history after being the first singles ITA National Champion in Seward program history. Freshman, Sander Jans and redshirt sophomore, Gabriel Nery joined Rousset, claiming the third third ITA Doubles National Championship win for Seward County. Rousset will finish off the fall season for the Saints while he competes in the four-day 2018 Oracle ITA National Fall Championships in Surprise, Arizona on November 7-11. 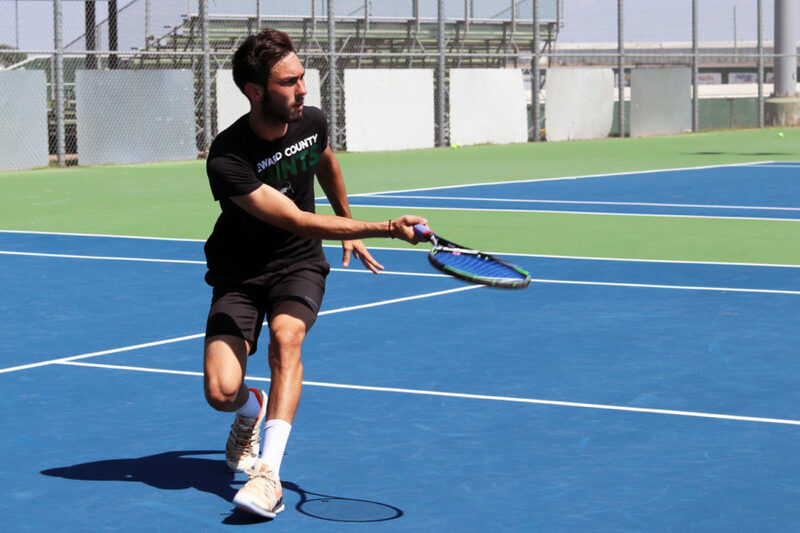 The spring season for the Seward County Men’s Tennis team will kick off on Monday, February 4 against Air Force Academy in Colorado Springs, Colorado.